Young Charlotte was six years of age when her family moved into the newly completed Brandon Hall with her parents and remaining siblings. Charlotte died in 1885, twenty-three years after the last of her young siblings had been laid to rest here. 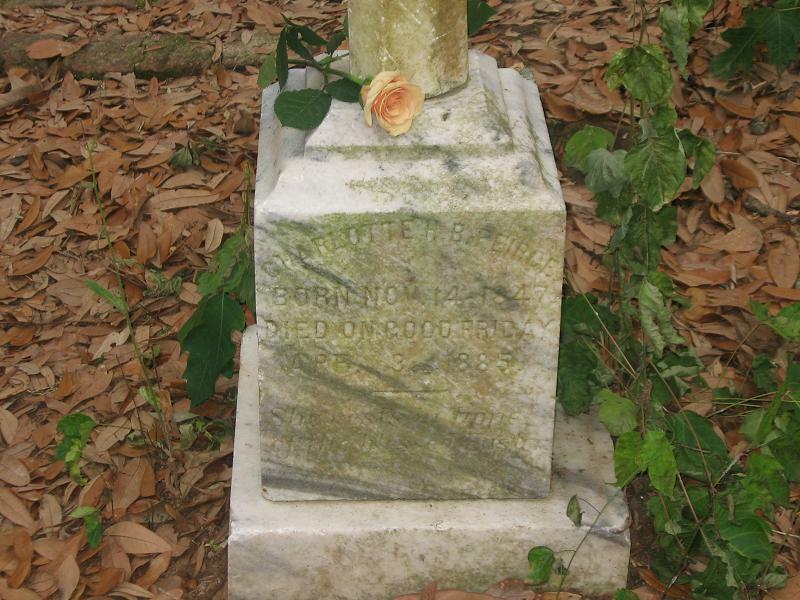 Atop her grave is a cross that reads "Mother". She was 38 years-old at the time of her death and living in Concordia Parish, Louisiana. Charlotte married Joseph Caldwell Peirce, a man from West Virginia, on May 4, 1870 and they had four children: Geraldine Brandon Peirce (b. 1871), Philip Brandon Peirce (b. 1873), Joseph Caldwell Peirce, Jr. (b. 1875), and Mary Brandon Peirce (b. 1878). 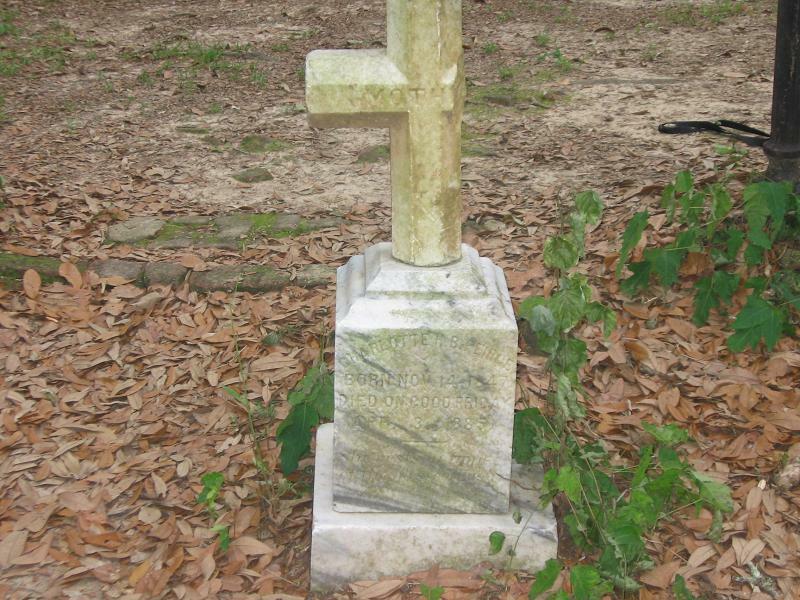 From what I have been able to find, none of the Peirce children had children of their own, though I have not been able to find any information on the daughter who purchased her mother's headstone.